The Best of Amanda Millie Week one. I can’t believe it’s been a little over a week since I launched my blog. It’s always so nerve wracking to take that first step and put yourself out there, but it’s got to be done. I definitely think taking part in the 30 day blogging challenge has given me the push up the backside I desperately needed. 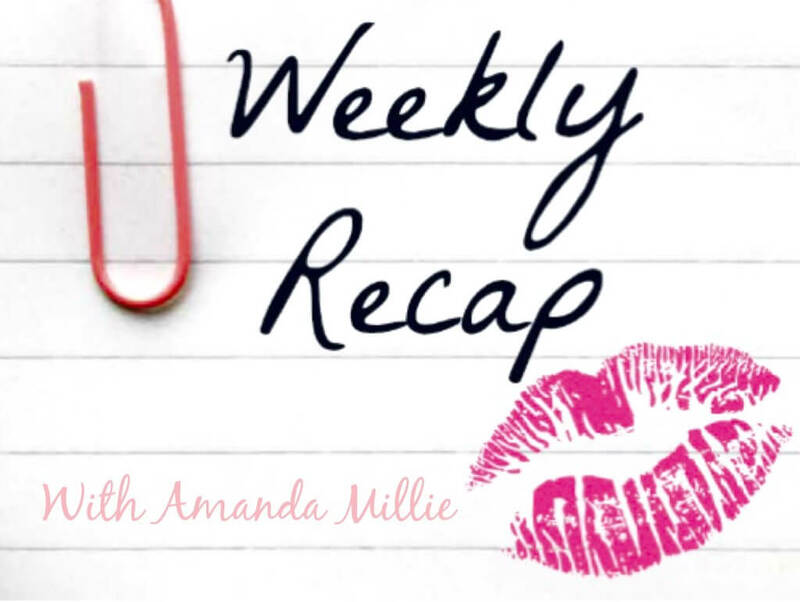 If you’re just tuning in, here’s a little recap of the best of Amanda Millie week one……. A little introduction to yours truly. Come on over and get to know me a little bit. Who knows, we might have something in common. 5 Reasons Why I’m Doing the 30 Day Blogging Challenge. I think the title pretty much speaks for itself. So what are you waiting for? Go check it out. What I Wore – Spring Summer Edition. Spring/Summer has definitely got to be my most favourite seasons. I got to wear some gorgeous clothes that really got me feeling bright and cheerful. Had a little too much to drink last night? This recipe has seen me through some of my worst hangovers. They say sometimes you can’t connect the dots till you’re looking back. This post was a little more on personal side, and it’s all about growth being comfortable in your skin. I really do love a good quote:-) These five in particular, definitely had an impact on me. No One Is Coming To Save You | How To Be Your Own Hero! You know what? This was my favourite post to write so far, simply because there was once a time when I HATED exercise with a passion. That’s all changed now obviously. These moves are tried and tested by me and they definitely work! Here’s to many more blog posts to come, make sure you don’t miss out, I’d love to have you come by again, hit the subscribe button below and you’ll never miss a post. Subscribe to Amanda Millie – Healthy Living, Travel and Lifestyle Blog.